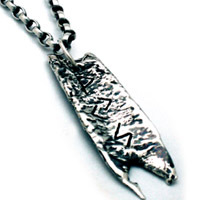 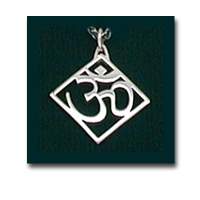 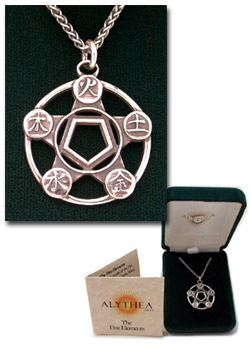 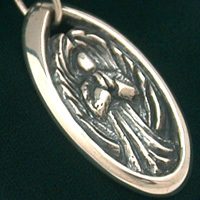 The Five Elements Pendant - Fire, Earth, Metal, Water, Wood. 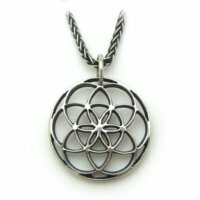 It's called the "control" cycle when you follow them across from each other - that's what makes the star shape: fire controls metal, metal controls wood, wood controls earth, earth controls water, water controls fire, to restore balance when one element dominates the others. 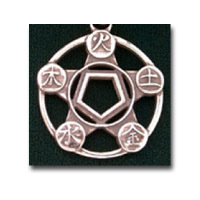 This symbol is also suitable for martial arts and the ancient Japanese tradition of Onmyoudo.